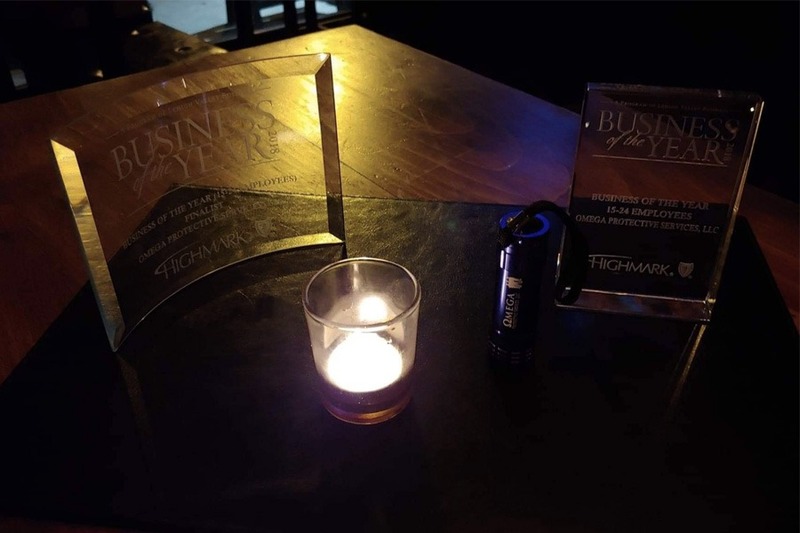 LVB Business of the Year 2018! 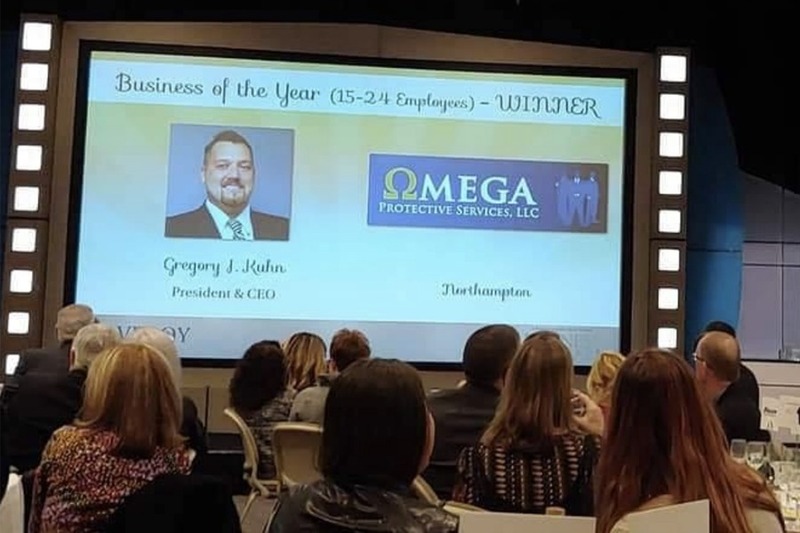 Congratulations Omega Protective Services on your award!  Tuesday, December 4, gave way to one of the most exciting nights for Lehigh Valley Business as they held their annual Business of the Year Awards at DeSales University in Center Valley, PA. 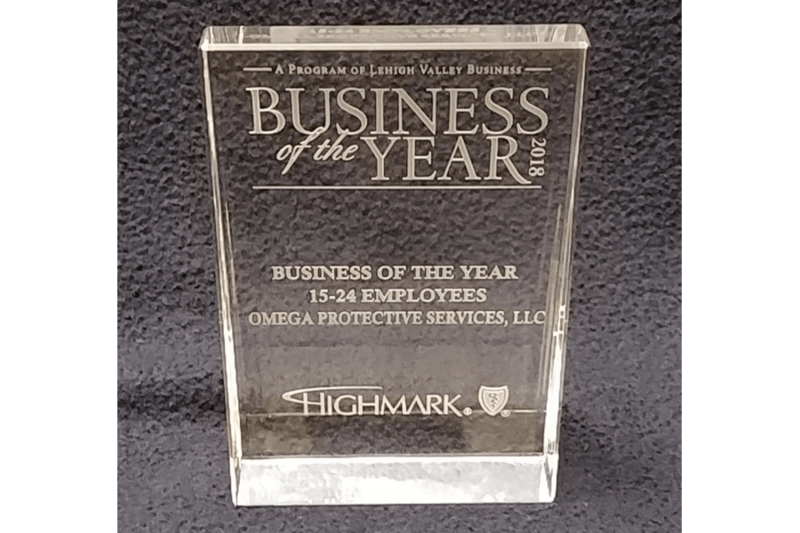 While many fantastic companies were finalists, in the area of Business of the Year (15 – 24 employees), our long-time customer, Omega Protective Services was given the award of Lehigh Valley Business’ Business of the Year. 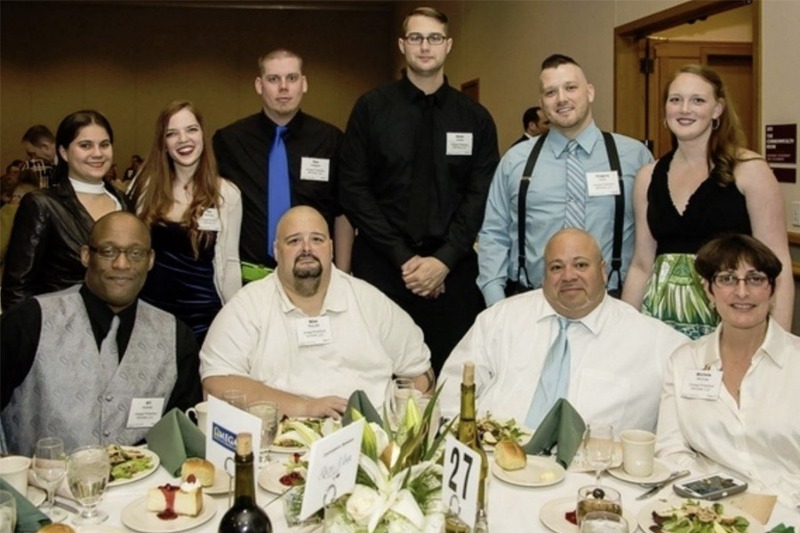 This company truly strives to provide superior security services throughout the Lehigh Valley, and surrounding around. 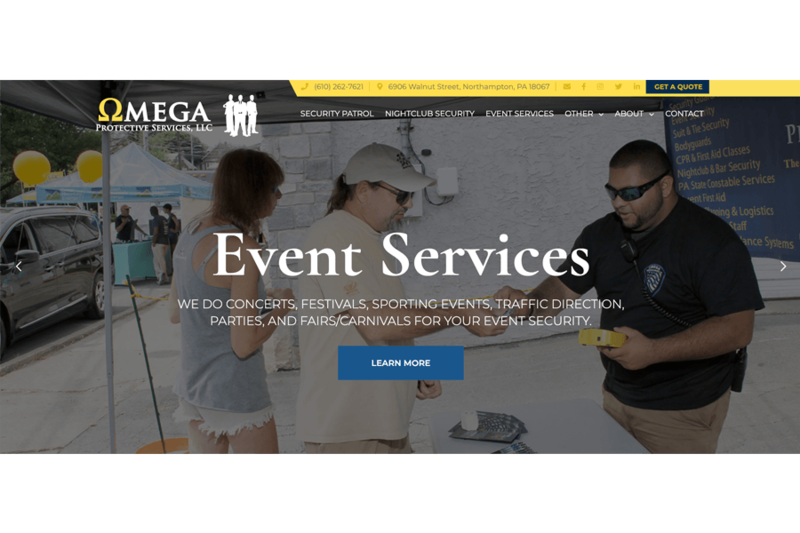 They specialize in night club security, event services, security patrol for a variety of businesses and locations, bodyguard services, safety training, and so much more! 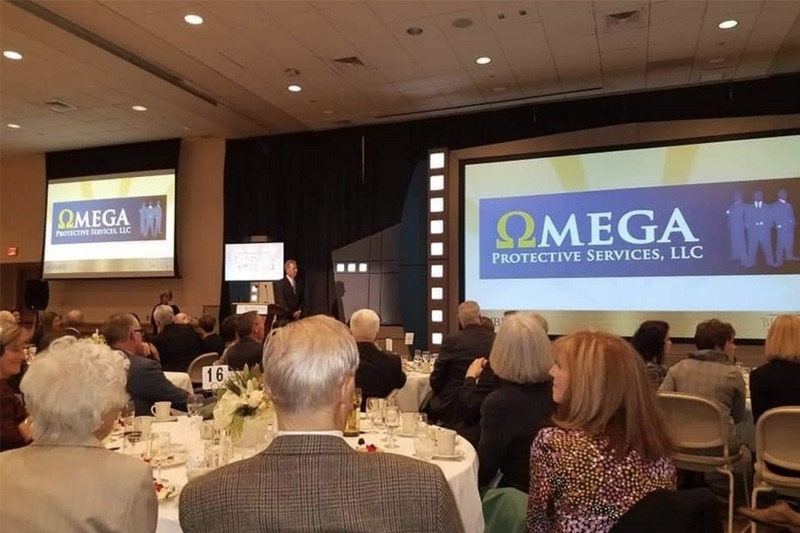 We are exceptionally proud of Omega Protective Services, and thankful that we could be apart of their business as website hosts and managers. 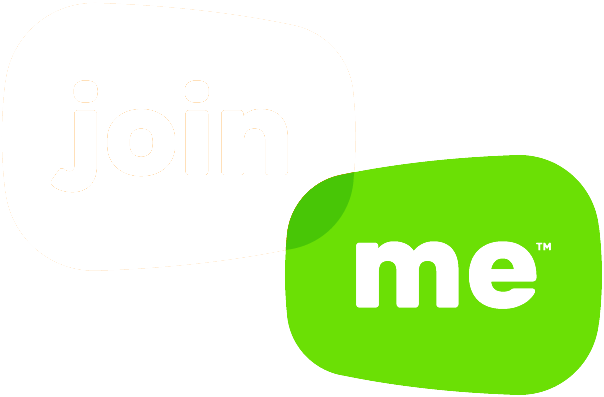 Congratulations to all of the winners; keep up the great work throughout the new year!